Plant Science Handbook from C.H.I.P.S. 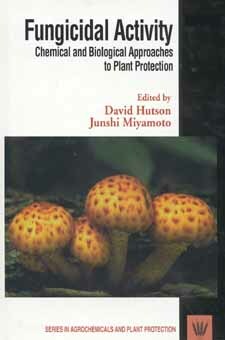 This book covers the current status of fungicide research as well as giving a brief perspective of this field. Its main purpose is to consider the ongoing discovery of new modes of action and approaches for disease control. Problems posed by resistance and by the biological control of fungal diseases will be discussed. The enhancement of natural protection by breeding and through gene transfer techniques is a promising field of research that is becoming increasingly important.